If you’re still on the fence about paying up for organic groceries, this might help you make up your mind: Pesticides sprayed on conventional produce doesn’t necessarily just stay on the peel or skin—it might actually seep into the tissue of the fruit and veggies. Unfortunately, the bad stuff isn’t so easy to wash off after all—but does it affect everything in your cart? Lili He, an assistant professor of food science at the University of Massachusetts Amherst, told the The New York Times that foods with a thicker peel—like cantaloupe and avocado—are effective at keeping out the pesticides, but there are plenty of items without a veritable coat of armor. Vigorous washing and cleaning methods don’t make a huge difference, particularly because the pesticide residue penetrates so deeply into the peel—as in right into the flesh of the fruit and veggies. While you can scrub your apples and cucumbers all you want, it might be all for naught if they’re already pesticide-laden: In her studies, He found vigorous washing and cleaning methods (even with a baking soda solution!) don’t make a huge difference, particularly because the pesticide residue penetrates so deeply into the peel—as in right into the flesh of the fruit and veggies. 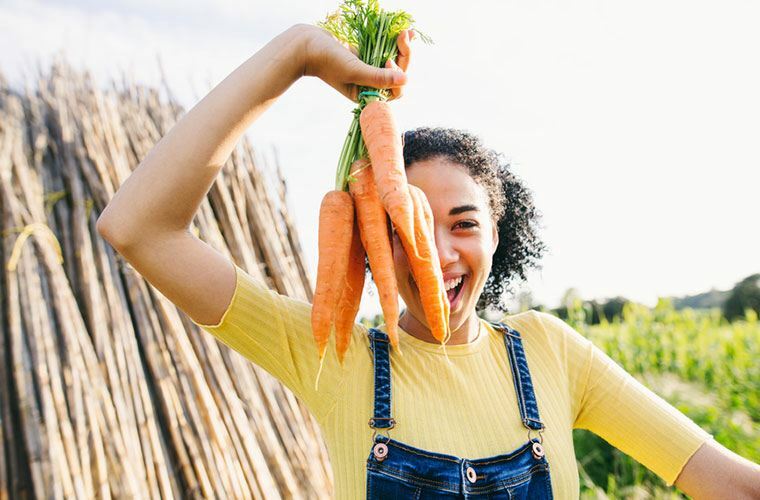 So while organic produce might be a little more expensive, when it comes to your well-being, ponying up a couple extra bucks at the grocery store might be worth it. Here’s why you should wash your produce with baking soda as opposed to just water. And here are five mistakes even healthy people make while washing their produce.